Well, after standing for a while BB’s fuel gauge read E, though the tank was about ¾ full.Initial diagniosis, was a flooded float, BUT after driving for a while I noticed the gauge had risen to ¼ and a bit later to ½ . This really had me stumped, as a flooded float would stay at E. Some weird electrical issue? 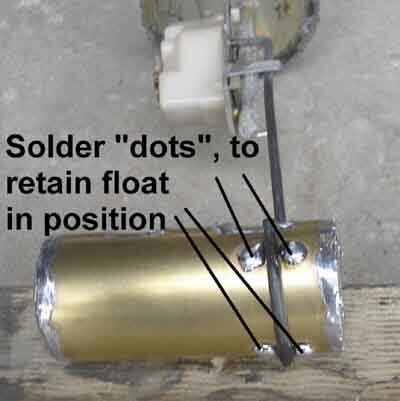 Anyway, I eventually removed the sender, and yes the float was flooded, don’t ask me how or why it started reading other than E. As the float wasn’t very old, and can only be purchased with a complete new sender, that experience taught me will leak out of the electrical terminal, I wanted to use a different float. On one of the forums a Ford float was mentioned, and when I went to the local Ford spare parts place, they had no record of that part number. Bugger. 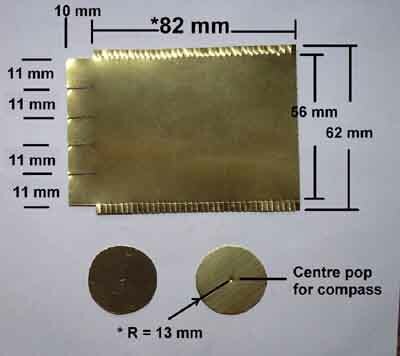 How about I make my own float, out of brass shim? No sooner though of than in motion. The following pictures pretty well tell the story. I used 5 thou for the cylinder and 10 thou for the ends. 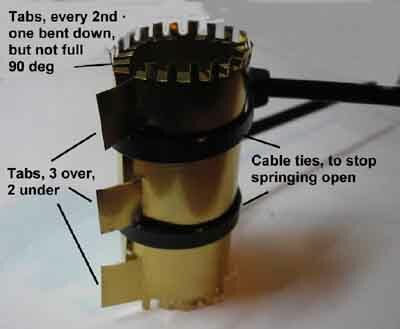 The diameter was taken from the plastic float’s mounting groove’s bottom diameter, so it would fit in the sensor arm. The gauge may now read a bit low, as the weight of the float is probably greater, with a smaller volume, but I don’t consider this as a problem, as it will get me to fill up a bit earlier. Dimensions of material. The only critical ones are those marked with an *. The cuts for the tabs are spaced at 2mm and are 3mm deep. Starting assembly. The tabs are bent over, every second one, to provide stops for the ends, so they don’t fall into the cylinder. Showing the ends fitted, and held by bending the tabs over. 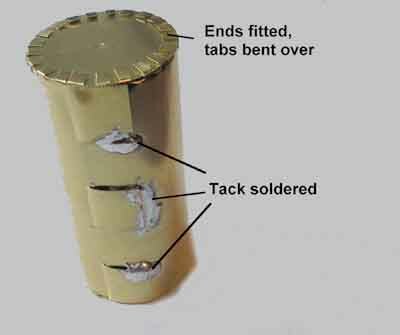 The cylinder has been tack soldered. 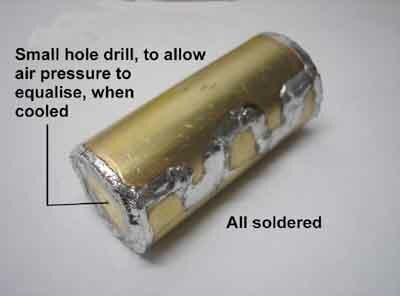 Cylinder, all soldered up, with small hole in one end, to allow air pressure to equalise, as cylinder cools. 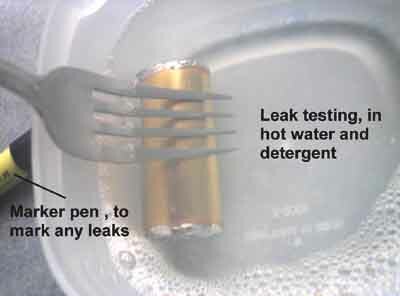 Small hole in end soldered shut, hot water with detergent, so any bubbles would be apparent. Fitted to the sensor arm. It may not be pretty, but it works. With a full tank it reads F. I still need to run the tank down, to check how empty E is.